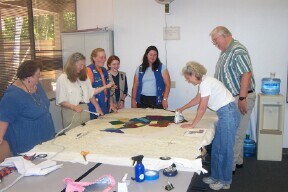 This beautiful piece of fabric art was created by members of the Piecemakers Quilt Guild and the Coyote Hills Girl Scouts, and presented to the City of Fremont at the Neighborhood Summit in 2002. 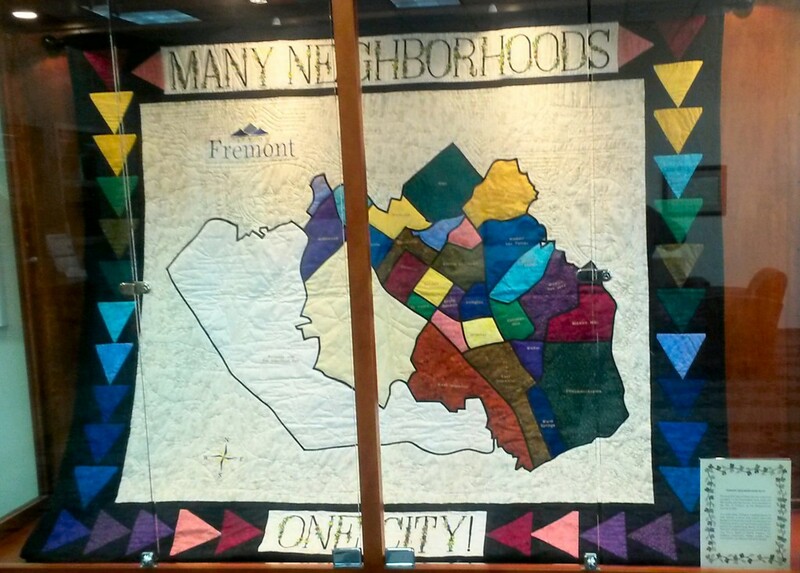 The quilt shows Fremont’s neighborhoods as then defined. 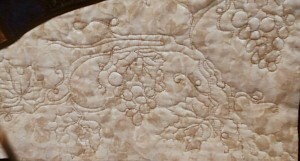 A closer look reveals some hidden details–the background fabric was chosen to represent the Fremontia flower, the border pattern is called ‘Flying Geese’, all headed to ‘One City’, and hidden within the quilt stitching you may find a figure of Charlie Chaplain, the Irvington monument, Weibel Grapes, Niles Train Station, the Mission and other details. This beautiful piece of fabric art was on display in Fremont’s City Hall lobby during March 2014, and a permanent home is now being considered. 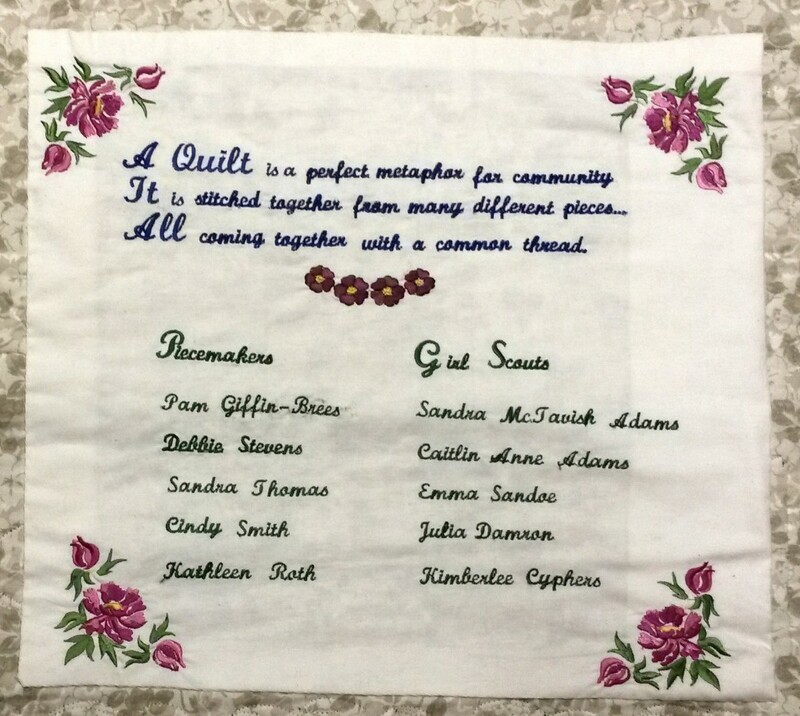 Names of the quilters are embroidered on the reverse of the quilt. Former Mayor Gus Morrison was enthusiastic, but didn’t take up a needle! One of the ‘hidden images’.